Past tense has four forms. 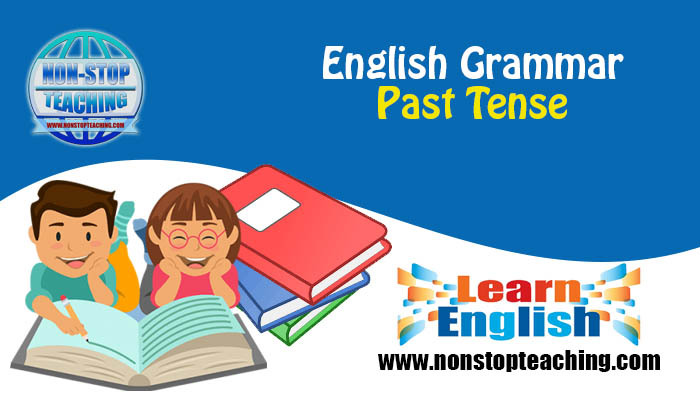 The past indefinite tense, also known as simple past tense, is used to indicate a finished or completed action/task that occurred/happened at a specific point in time in the past. ‘A specific time’ can be diverse and can cover a long period of time but it cannot be undeterminable. Subject + verb in the past form + . . . . . + adverb of time + . . . . . Note: Adverb of time can also be at the beginning of the sentence. Other sentences can also refer to that adverb and can use simple past tense. Alex went to Mexico last year. I ate a mango a few minutes ago. He had an exam yesterday. The past progressive tense is used to demonstrate an action that was happening in the past for a period of time in a particular context. The context can be a specific time or another action. I was cleaning the dishes at around 5.30-6.30 yesterday. When + subject + simple past tense + subject + was/were + verb+ing . . . . When I went out, you were shouting from behind. When Alex came, I was sleeping. Subject + was/were + verb+ing + when + subject + simple past tense . . . .
You were shouting from behind when I went outside. I was sleeping when Alex came home. While + subject + was/were + verb+ing + subject + was/were + verb+ing . . . . While I was sleeping, you were making noises. While Alex was playing, I was sleeping. Note: While can also be placed between the two clauses, and one of the clauses can be of simple past tense. The past perfect is used to demonstrate an action that occurred before another action in the past. There are usually two completed actions in the sentence; one happens before the other. Subject + had + past participle form of the main verb + before + subject + simple past tense . . . .
Alex had completed the task before the teacher asked. I had bought a phone before you came here. Before + subject + simple past tense + subject + had + past participle form of the verb +. . . .
Before I went to the office, I finished some business with her. Before she went home, she had taken a test. Subject + simple past tense + after + subject + had + past participle . . . .
Mark ate after I had bought him a bat. I went to the office after I had finished some business with her. After + subject + had + past participle + subject + simple past tense . . . .
After I had bought a phone, she came to the shop. After she had gone, I came in. Note: When can be used in place of before or after in any of the above structures. The past perfect progressive tense is an extension to the past perfect tense and its structures. Past perfect progressive is used to demonstrate an action which continued for a specific period of time but stopped before another action. Alan had been playing cricket for 18 years before he retired. Jack had been living in Sydney since 2010 before he moved to Melbourne. Note: This tense can be replaced by the past perfect tense withdrawing for/since.